Customer Reviews	Overall rating:	4.8	out of 5 based on 60	reviews. 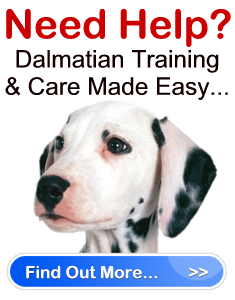 If you would like help with your Dalmatian click here to find out more! - Nicola Meredith,	Rhiwbina	Cardiff	U.K.
- Helen,	Acton	London	U.K. I think I just hit the jackpot!